Binary options regulation, Upon the emergence of binary options trading regulation had been overseen by gambling boards. Since the US CFTC, UK FSA/FCA, the Japanese FSA, and EU CySEC have acknowledged binary options as investments, regulation for binary options trading has been taken seriously as a financial instrument rather then gambling, Thus policies have been implemented and stricter policies are been invoked. Since the introduction sometime in 2000, binary options trading was considered to be the “wild west” of investment forms. Many actually feel its more gambling then financial investment. Because of earlier minimum binary options regulation, the internet got flooded with bad practice complaints, locked accounts and issues withdrawing funds. Those malpractice’s consequently placed a bad tag on this form of trading and many avoid it due to all that. However, the authorities had seen that gap and are quickly closing it. These authorities are rapidly introducing stricter binary options regulation and laws on brokers within their jurisdictions to help safe guard traders from rip off brokers. 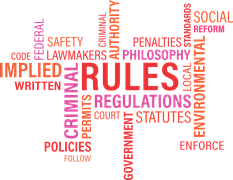 The reason you should invest with a licensed broker is because these regulatory boards have strict laws which the broker the broker MUST abide by. Investors can be at ease know their funds are secure with another benefit is transparency, Broker who are open about there operation instills added comfort to an investor. This is very important know how honesty and the integrity of brokers. Licensed brokers are obligated by law to have a different bank account to store the clients funds. The account has to be completely separate from its own finances. This is imposed so that customers funds are safe from things like bankruptcy or other financial disasters. So Brokers cannot use this segregated account in any way to aid its own needs financially. In addition. The Boards regularly inspect the brokers to ensure they are compliant. Regulation of binary options trading is evolving at a rapid pace globally. We are quite sure that South Africa will follow suit. Binary Options popularity has grown tremendously in South Africa in recent years just as by many other countries globally. South Africans can legally trade binary options. With reference to the country’s 2004 Securities Service Act. Binary options are classified as a ‘derivative instrument’ and provided its own definition as a form of ‘securities’. So the Bond Exchange of South Africa (BESA). BESA with its partners made a new platform for trading back in 2007. This platform allow investors to trade binary options within South Africa for the first time. After the registrar of security services endorsed this platform, South African citizens started to use it to invest in the financial markets in December 2007. The popularity of binary options since then has had significant increase in popularity. Experts identified the major cause for this popularity as the ease of this form of trading with lower levels of uncertainties and risks. However, binary options are now subject to abide by regulatory bodies within South Africa. With AnyOption South Africa getting licensed by FSB in South Africa. The Financial Services Board. As a result, the FSB now provides protection for South African investors. This will only improve binary options regulation in South Africa. This poses a problem as it makes South Africa suitable for ravenous brokers to exploit uninformed people. So especially South Africans need to ensure you with a CySEC, FSA or FSB licensed broker (there are other but we trust these two). Broker iqOption is licensed by FSA and CySEC even better. In addition check out Binary Options Scams and Binary Options Brokers posts for the best licensed brokers out there today.